Take full advantage of your Horizons Health curriculum with these lesson plans for Homeschool Planet. 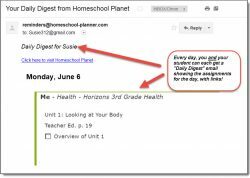 Each lesson plan lays out the publisher's recommended course of study in Homeschool Planet and give you and your student an easy-to-follow schedule of assignments. The publisher's recommended course of study for each class in each lesson plan. 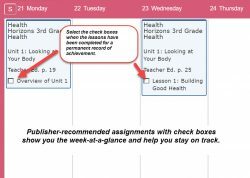 Daily assignments, with the applicable page numbers in the Horizons curriculum. Check boxes for your students to check off as they complete their assignments, giving them a sense of accomplishment and giving you a permanent record of their achievement. 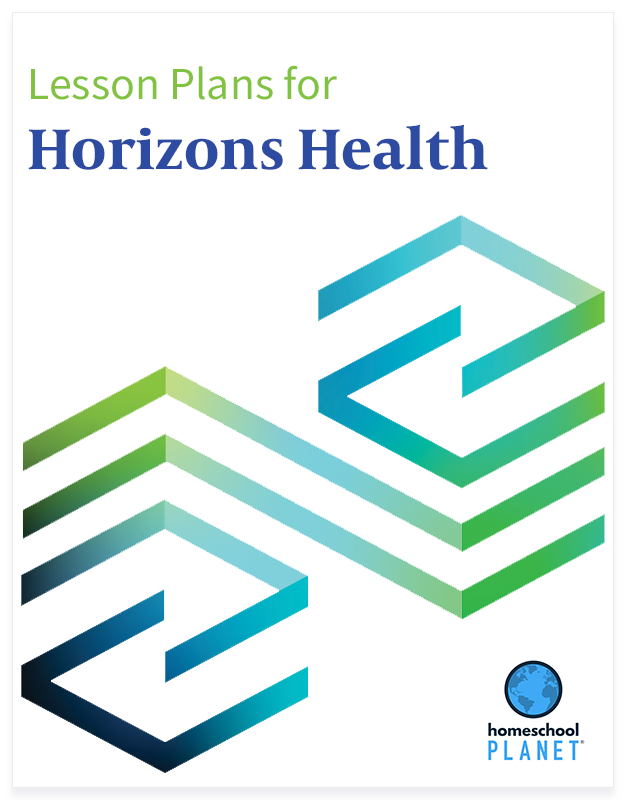 Lesson plan bundle includes ALL 7 Horizons Health lesson plans. Automatic lesson plan updates as needed, with enhancements, link updates, etc. Note: You decide whether to apply the updates. Actual curriculum is not included, and should be purchased separately. 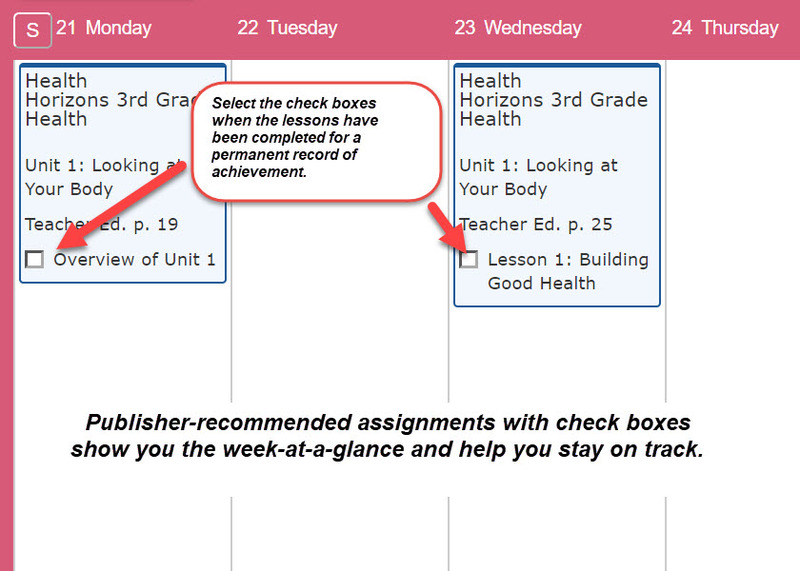 Automatic rescheduling of assignments when "life happens"
Grade your student's work to recognize or reward completion. Track attendance for states where this is required. Generate reports, reminders, and much more! Sign into Homeschool Planet or refresh the page in your planner if you are already signed in. 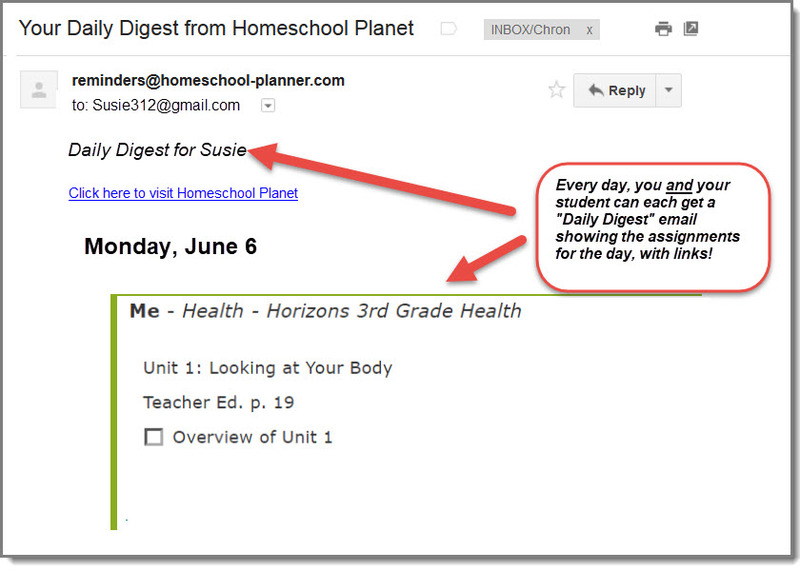 Homeschool Planet will give you an option to apply your new lesson plan to your calendar. Follow the on-screen instructions to apply the lesson plan, or find it later in your Homeschool Planet Lesson Plans library where it will be permanently saved for later use and re-use in years to come.